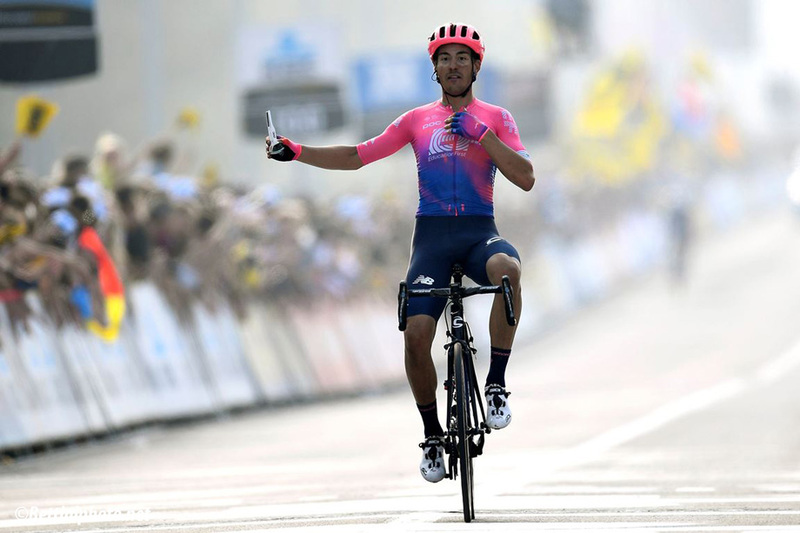 Alberto Bettiol and Sidi win the 2019 Ronde van Vlaanderen for Italy. 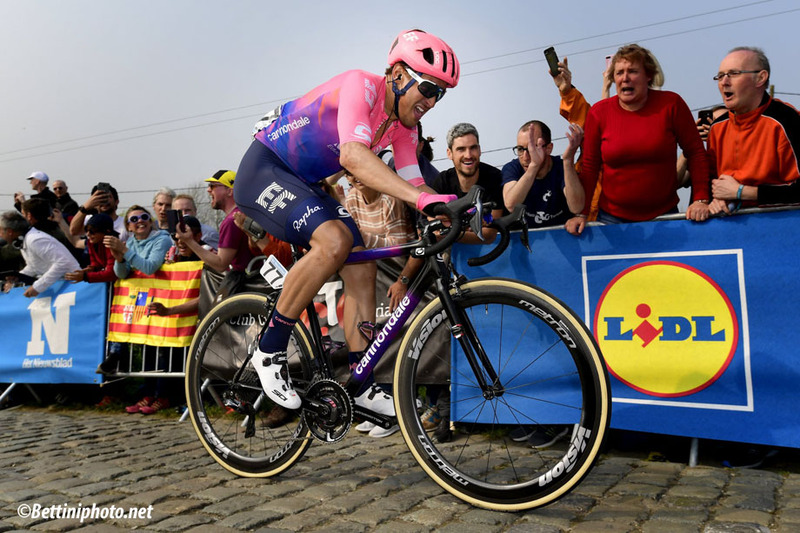 Alberto Bettiol (EF Education First) put on an extraordinary performance to win the 2019 Ronde van Vlaanderen. 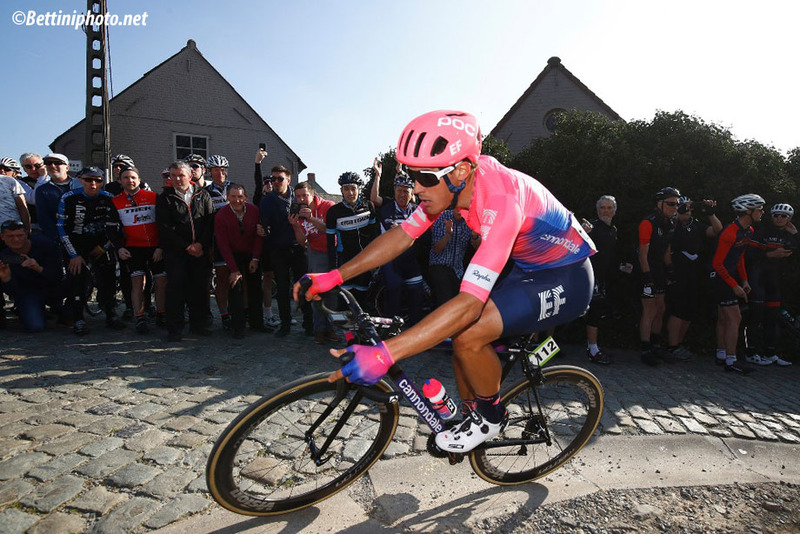 Bettiol took off all by himself as he launched a fantastic attack on the legendary “Old Kwaremont” wall, with about 18 km to go to the finish line. None of his adversaries even managed to catch up to his backdraft after that. Bettiol won this classic, one-day race in the best way possible, crossing the finish line all alone, arms up in the air. Behind him places of honour went to the Dane Kasper Asgreen (Deceuninck-Quick Step), who was second, and the Norwegian Alexander Kristoff (UAE-Team Emirates), who took third. So the Italian flag has been raised once again on the walls of Flanders. The last time an Italian rider managed to make it to the top step of the podium in this race was in 2007, when Alessandro Ballan took the win. This is the 11th Italian success in the history of the Ronde classic. 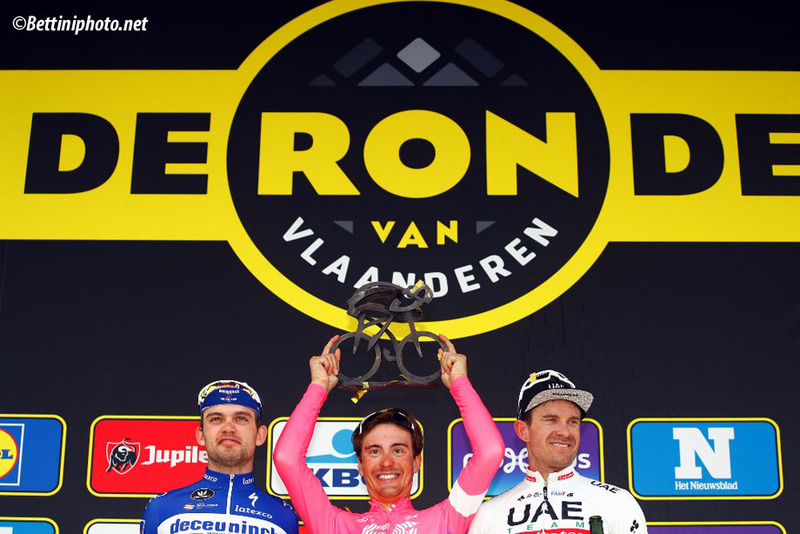 We’re talking about the Ronde van Vlaanderen; this is not your ordinary race, but one of 5 “Monumental Classics” on the World cycling scene, along with the Milano-Sanremo, the Paris-Roubaix, the Liege-Bastogne-Liege and the Lombardia. The Ronde is considered the temple of cobblestones and walls; the route covers 270 km from Antwerp to Oudenaarde, with 17 bumpy walls to climb. Alberto Bettiol has been riding professionally since 2014, and he could not have chosen a better race in which to capture the first victory of his pro career. Until now, his world-class portfolio featured a second-place at Plouay, a third-place finish in the Tour de Pologne and plenty of other good results; as a Junior he also held the European time trial title …but victory in the Ronde takes him to a whole new level. 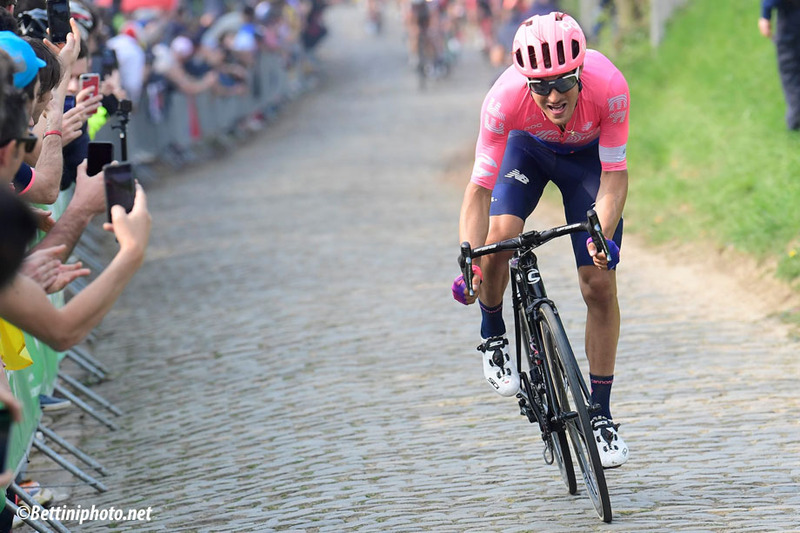 Alberto Bettiol, the 25-year-old Tuscan rider from Poggibonsi (Siena), experienced all these authentic, unforgettable thrills wearing Sidi on his feet. 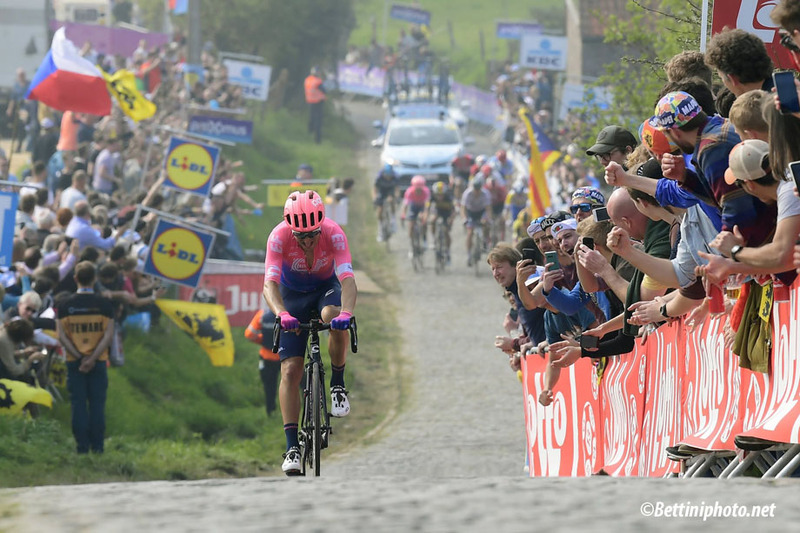 The shoe that captured this extraordinary success with the Italian rider in the 103rd edition of the Ronde van Vlaanderen is the Sidi Wire 2 Carbon. This is a new model from Sidi’s 2019 collection, a top-of-the-line shoe from Sidi’s road cycling selection. This light yet resistant shoe offers top performance in a modern and aerodynamic design, and this victory has proven that it’s the perfect shoe for taking on the tricky cobblestones of the “Northern Classics”.